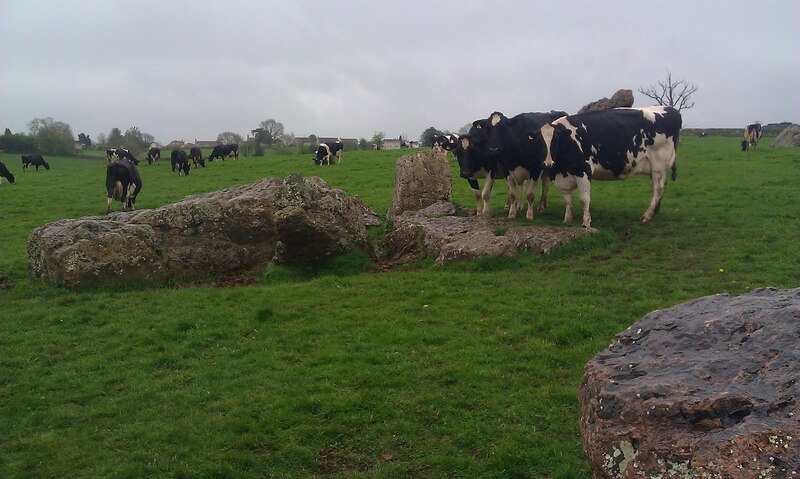 Most of us think of sarsen stones as only living wild on the windswept downs, but the valleys were once all wooded and some still are. 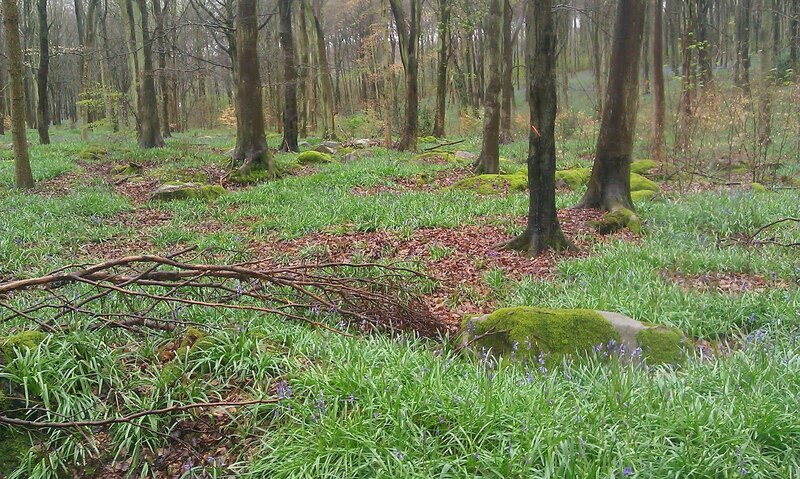 This is West Woods at Lockeridge where the sarsens sulk in the undergrowth. 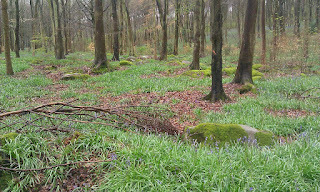 It is very atmospheric and at this time of the year lovely with the bluebells and beech trees just coming into leaf. Can You See Salisbury Spire From Stonehenge? I was intrigued by this map in an old (1924 I think) guidebook. The guide book says "the top of the slender spire is difficult to pick out above a straggling coppice". But I have never noticed it, nor heard of anyone else. 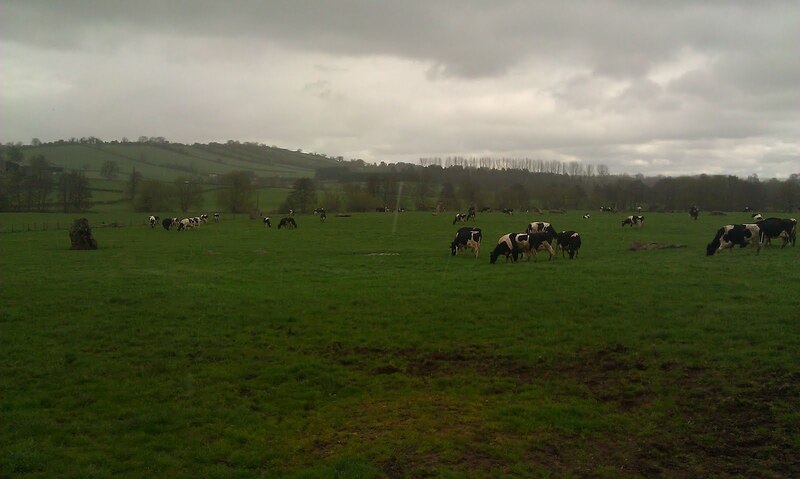 The topography suggests it should be possible, looking on a bearing of 175 degrees from the centre of the circle. The last high point is Old Sarum, the direct line passes straight over the mound. Goggle Streetview enables us to see the view from the comfort of our screens. I think the row of trees on the horizon are now blocking the spire. But I will check on a clear day. 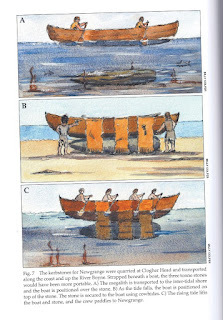 One of the most debated developments in human history is the transition from hunter‑gatherer to agricultural societies. This week's edition of Science presents the genetic findings of a Swedish‑Danish research team, which show that agriculture spread to Northern Europe via migration from Southern Europe. The Silk Hill Henge at Brigmerston. 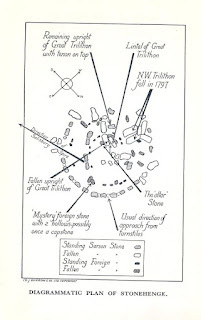 Reading JFS Stone's book Wessex I came across a reference to a possible Henge on Silk Hill at Brigmerston. 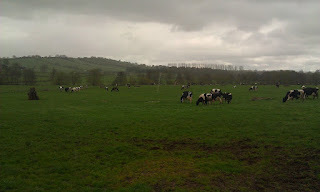 Site of an alleged "enclosure of Woodhenge type" at Silk Hill, Brigmerston. 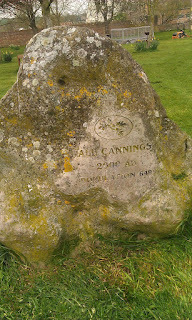 JFS Stone referred to such a site on the basis of a description by Colt Hoare of "a very singular tumulus...surrounded by a beautifully formed vallum, and the area within it is quite flat, without the least appearance of any sepulchral mound...the interment of burnt bones was deposited at some distance from the middle". Harding and Lee note a cropmark ring ditch as the only possible candidate, the site featuring a clear internal parch mark and faint traces of external parching. 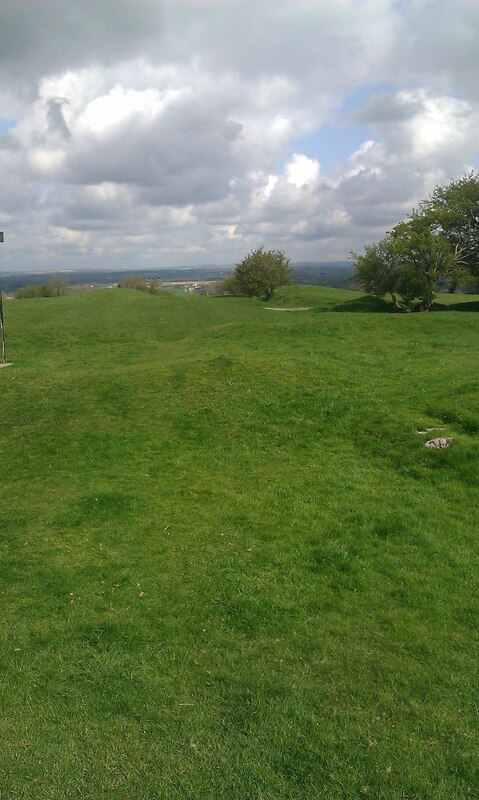 It is likely that the feature Colt Hoare observed was one of several complex round barrows in the vicinity. The Pastscape record points to the group of barrows to the north west of this feature shown on the right in the screen scrape from Google Maps at http://g.co/maps/ym6yd . 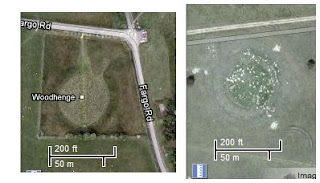 It looks very similar in size and form to Woodhenge as shown on the left. Is this the "henge"? 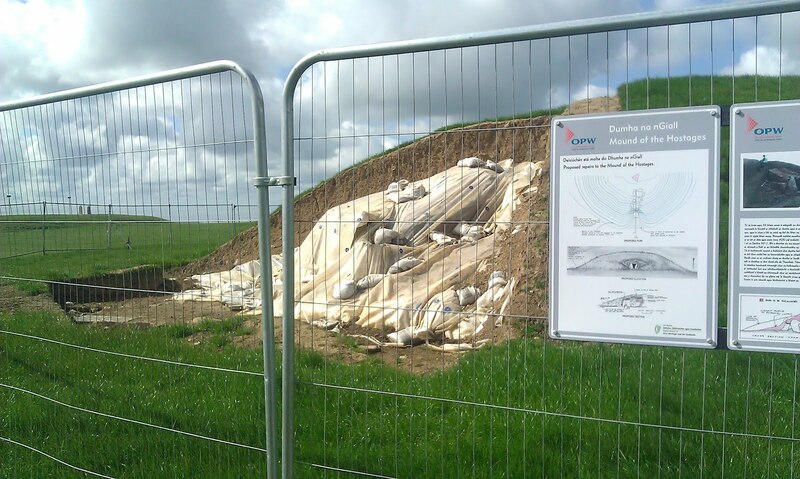 The Field Archaeology of Salisbury Plain Training Area describes it as a bowl barrow with an external bank within the ditch. The Good, the views and history are fantastic. 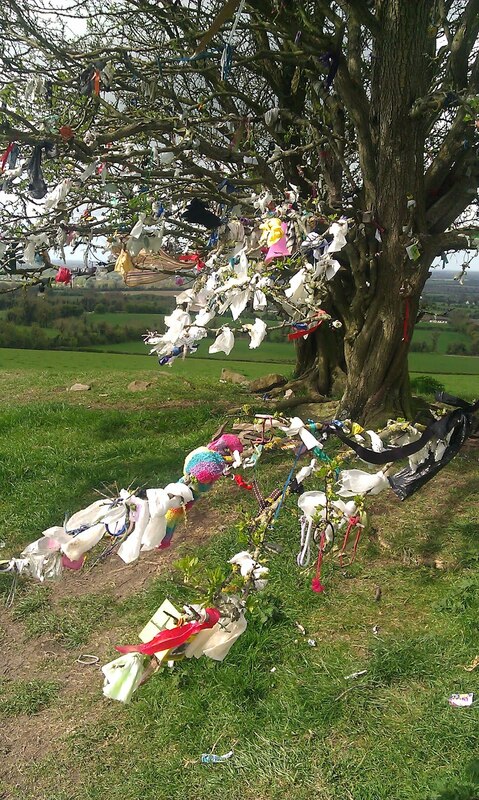 The Ugly - the wishing tree is shedding old tissues and rags in the wind. 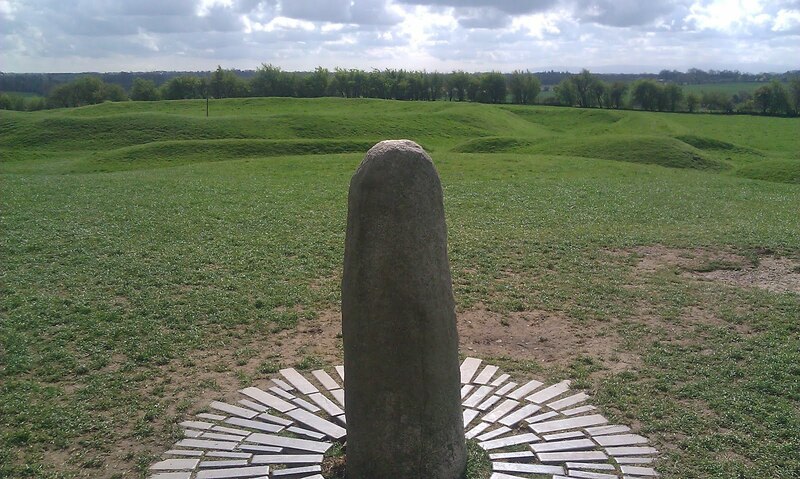 I recently visited The Megalithic Passage Tomb at Newgrange which was built about 3200 BC - so several hundred years before the stones of Stonehenge were erected. The amazing complex of tombs in Ireland involved moving thousands of tons of stones and earth. 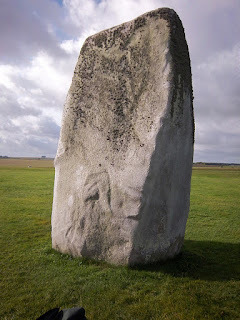 The kerbstones are similar in size to the Bluestones of Stonehenge and came from about ten miles away on a trip that is presumed to involve sea transport. 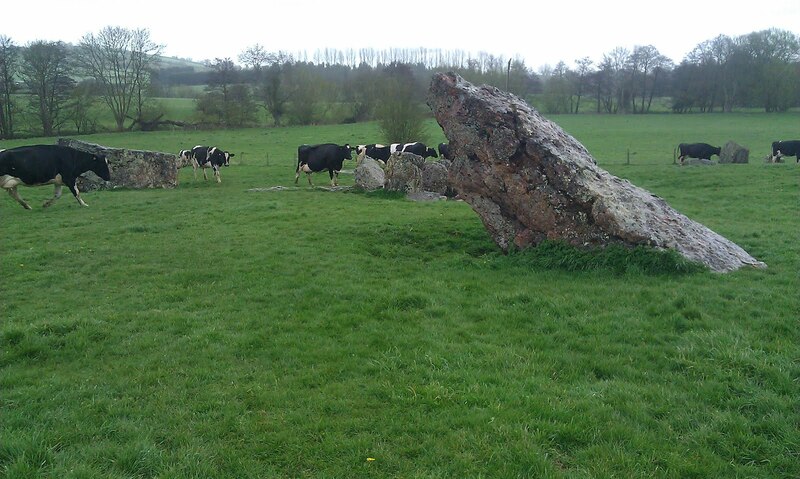 That neolithic man was moving such stones much earlier than Stonehenge was an eye-opener to me. 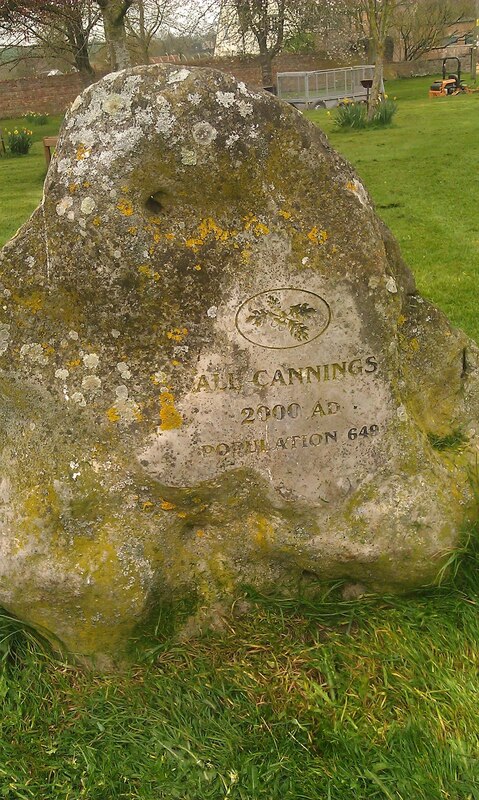 I had lazily assumed that earlier monuments only involved erecting local stones. 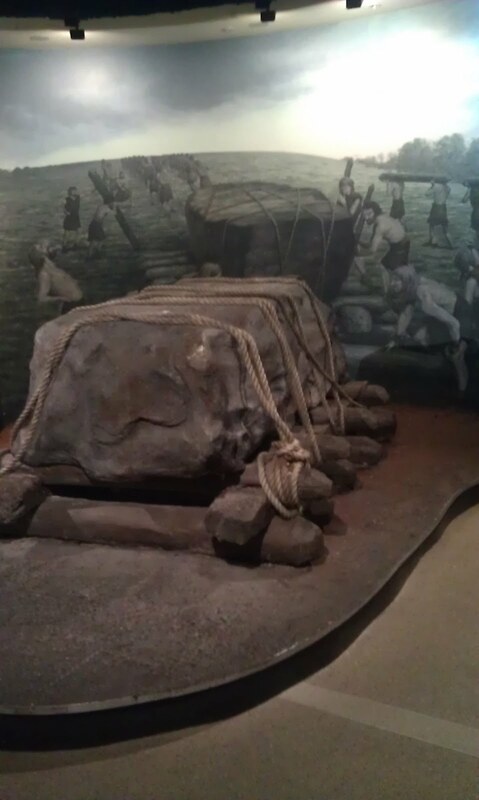 The ability to move stones was obviously well established before Stonehenge. 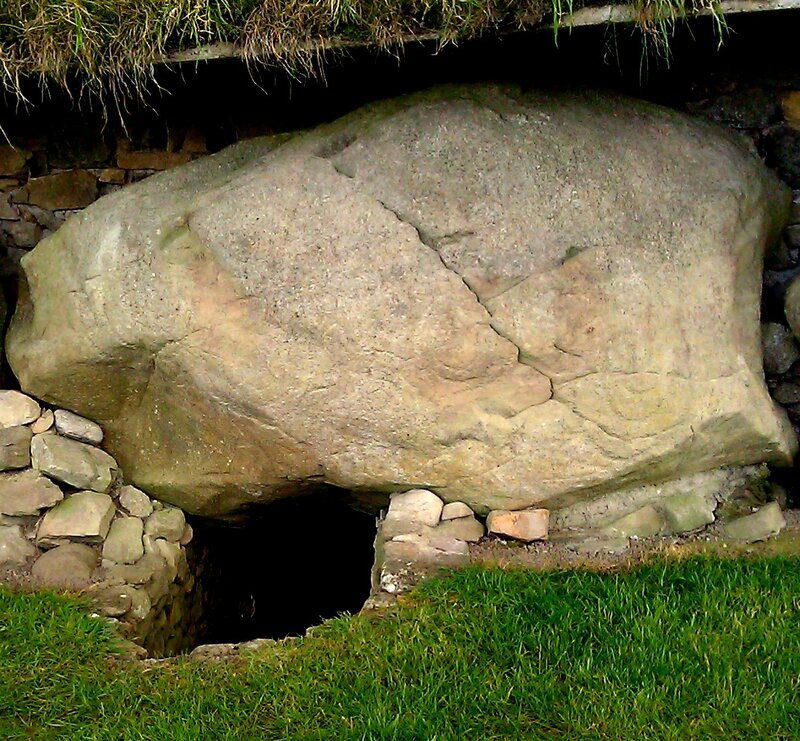 (A model from the Newgrange visitor centre). 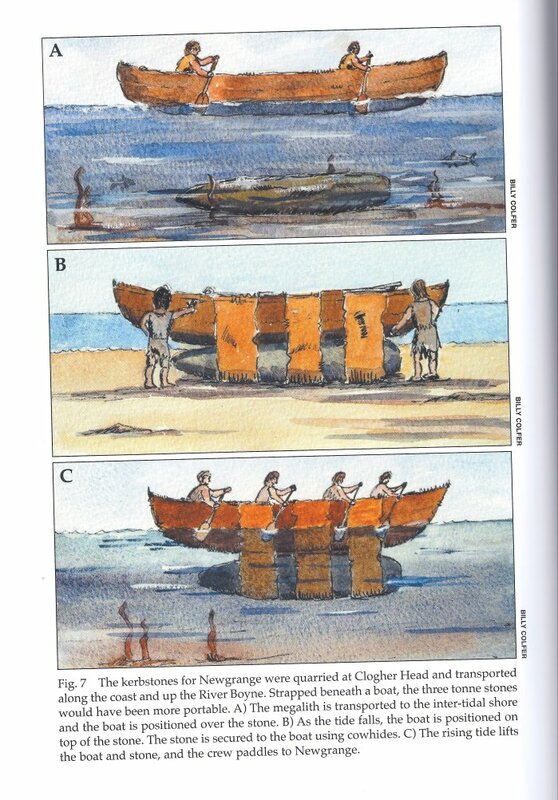 And one for Brian John of how they may have transported them around the coast. The diagrams are from the excellent book "Newgrange" which I wish I had bought before I went. A bouncy scale model of Stonehenge, specially commissioned to mark the Olympics, has been unveiled. It was created by Turner Prize winning artist Jeremy Deller, who said it represented Britain's history, culture and sense of humour. 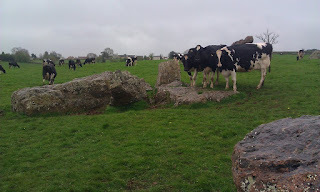 I visited Stanton Drew stone circle today - can't say much more than everyone should do so but one at the time. A spiral on a boulder at Knowth and one unrecognised one at Stonehenge - Simon's Spiral on Stone 16. Does the spiral represent the movement of the sun through the year as it draws smaller arcs in the sky from the summer until the winter solstice and then larger ones to midsummer? 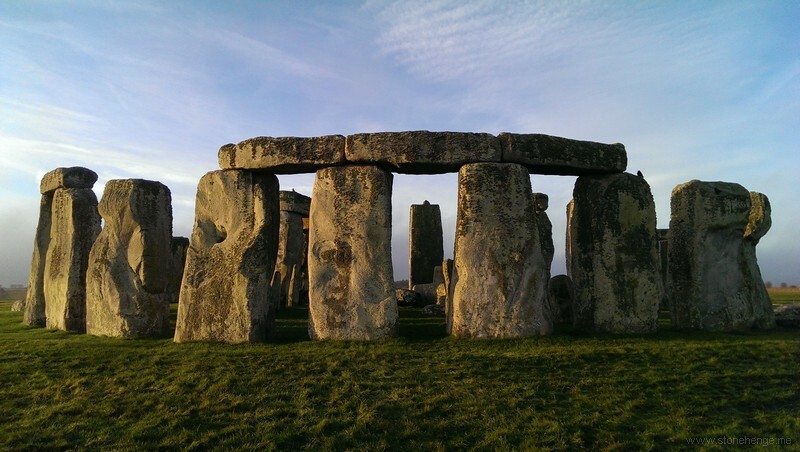 Many thanks to Simon for the idea to link to @Stonehenge_UK on twitter to get a daily update on opening times for Stonehenge and the sun rise and set times. in a few days, I’ll be writing about another exhibit that’s certain to get megalith obsessives talking. I’m sworn to secrecy about it, but you can get an idea of what might be coming from this post by the Glasgow International Festival of Visual Art. 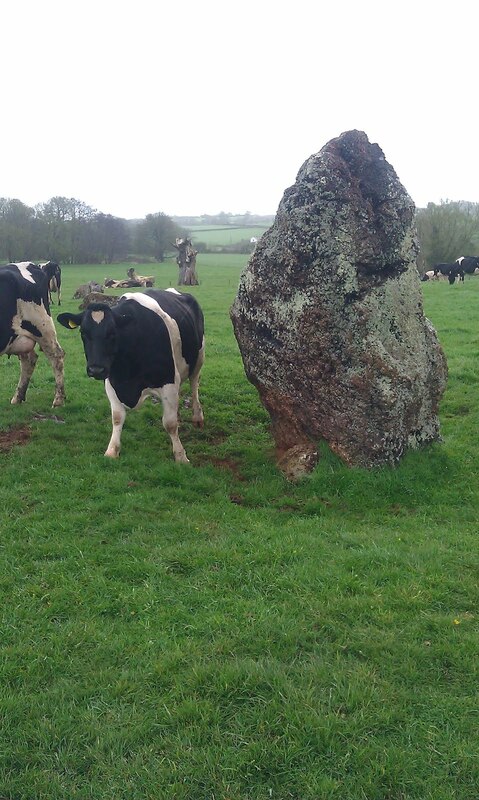 Turner Prize winning artist Jeremy Deller will be creating a plastic version of the iconic prehistoric monument Stonehenge as part of Glasgow’s International Festival of the Visual Arts. The work, entitled “Sacrilege”, will be revealed on Glasgow Green later this week. After the exhibition, which runs from 20 April to 7 May, it will be moved to London for display during the Olympic Games. 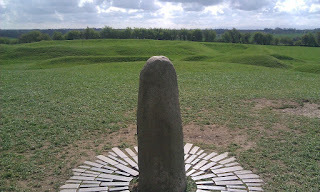 This will echo a visit of the Olympic Flame to the real Stonehenge during its progress round the country. Sacrilege will be Deller’s first major public project in Scotland. 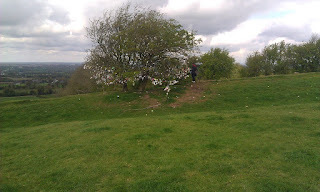 Unlike the real Stonehenge, the public will enjoy unrestricted access to Deller’s plastic version. It was possible to walk among and even climb on the standing stones on Salisbury Plain until 1977, when they were roped off to counter serious erosion – a decision that provoked protests. 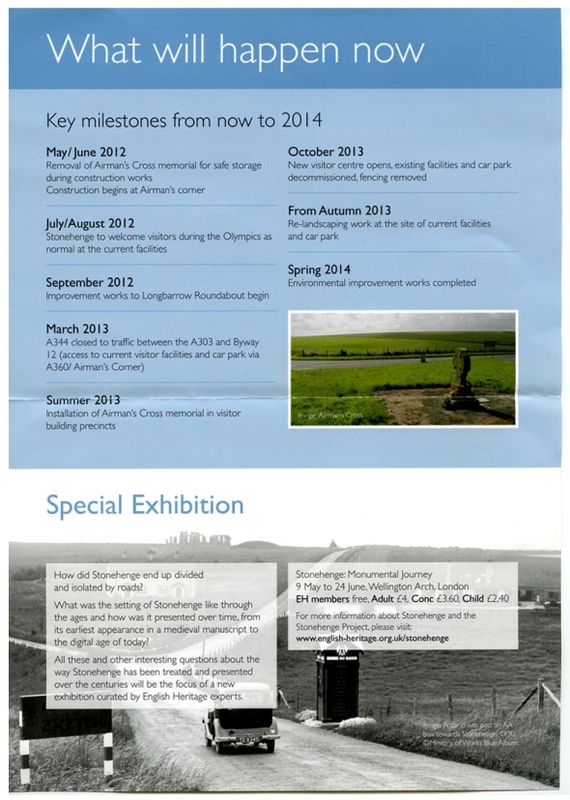 And the exhibition looks like the only thing worth seeing in London this year. ........If it wasn't a village, or a temple, or a farm, or a cemetery, what was Marden for? 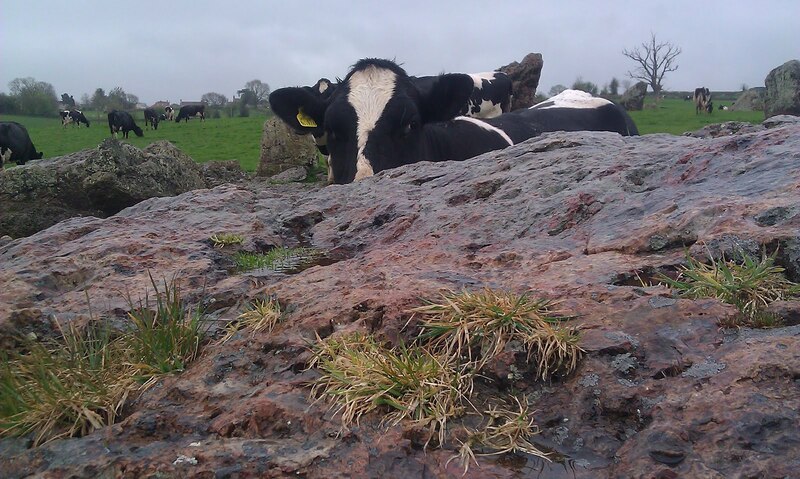 Leary suspects the answer may be emerging in stone working tools, and flakes of sarsen, turning up all over the site. If you were going to drag sarsens the size of double decker buses from their original site to Stonehenge, he said, the obvious route is straight through a natural gap in the hilly landscape, which would take them through Marden. 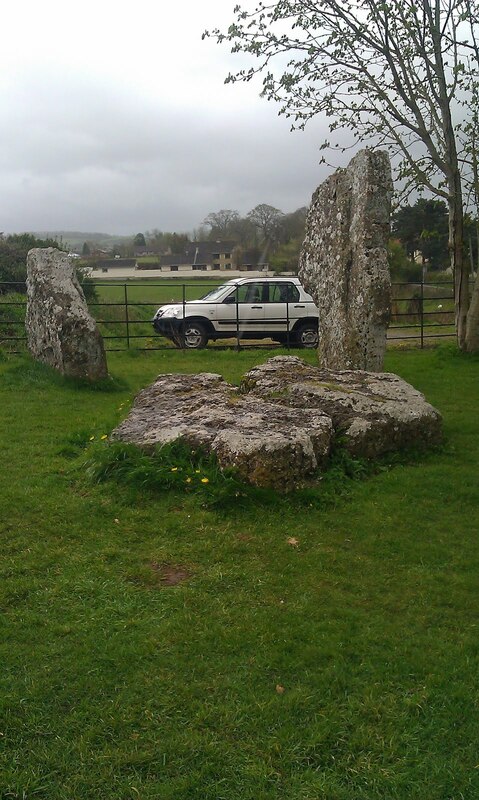 The evidence that Marden was a sort of builder's yard for the most famous prehistoric monument in the world may have been in the mud under the boots of Leary's puzzled predecessors. So why did the site's temporary occupants leave? Maybe with Stonehenge complete, the sarsens shaped into the giant trilithons that still fill the hordes of modern visitors with awe, their job was done. They tidied up nicely, turned out the lights, and left. Captain Eustace Lorain and his passenger Staff Sergeant R H V Wilson were flying a Nieuport Monoplane out of Larkhill on a routine morning practice sortie. They were executing a tight turn when the aircraft fell towards the ground and crashed. 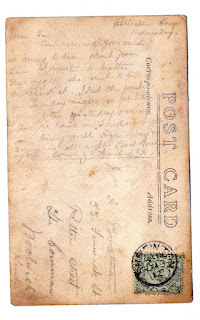 Wilson was killed outright and although Loraine was speedily transported to Bulford Hospital in a horse-drawn ambulance, he succumbed to his wounds only a few minutes after arriving at the Hospital. 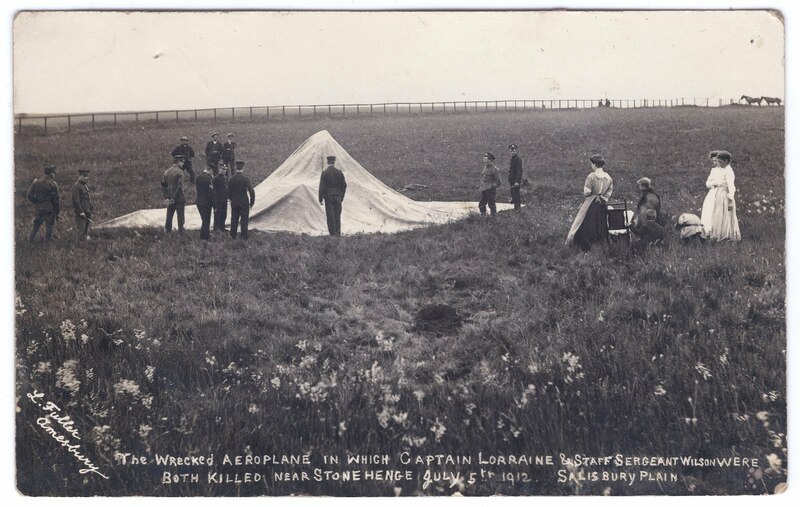 Loraine and Wilson were the first Flying Corps personnel to die in an aircraft crash while on duty. 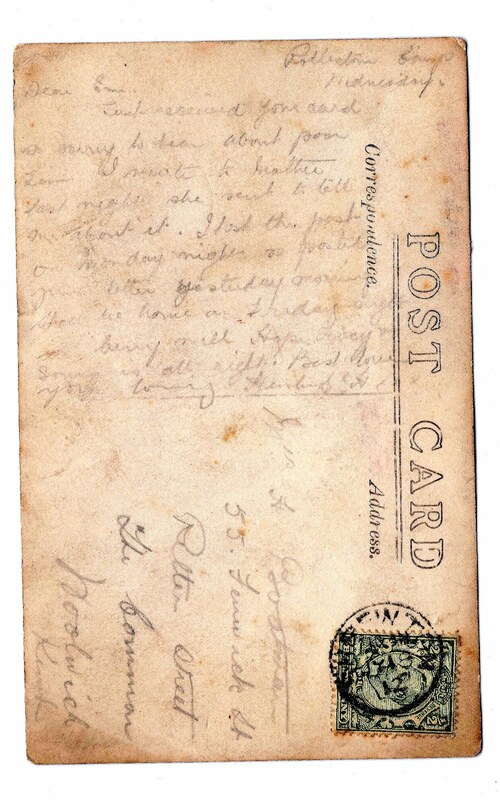 Later in the day an order was issued which stated "Flying will continue this evening as usual", thus beginning a tradition. 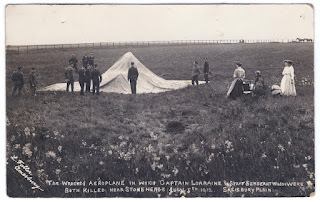 'To the memory of Captain Loraine and Staff-Sergeant Wilson who whilst flying on duty, met with a fatal accident near this spot on 5 July 1912. Erected by their comrades'. 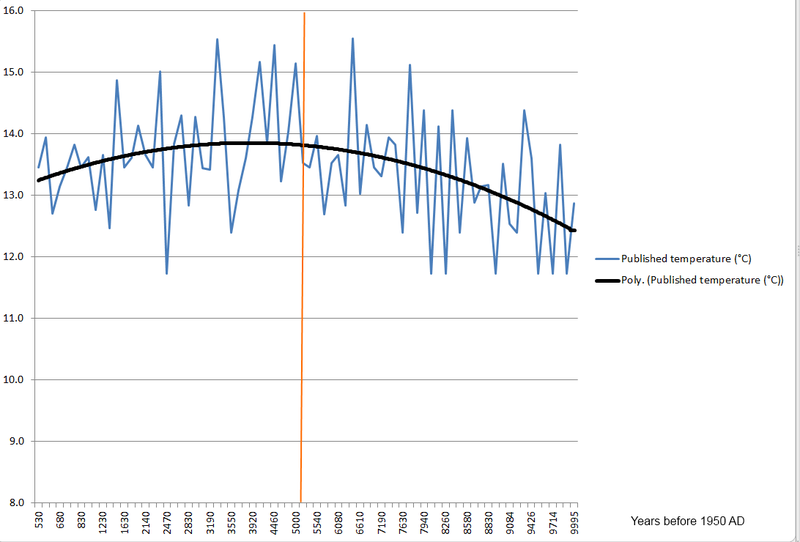 This a very rough and ready graph of the data of the last 10,000 years according to this proxy, the nearest one they had to the UK. 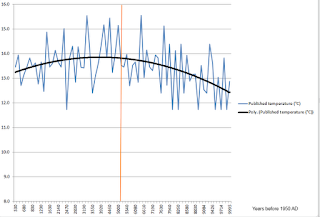 Remember the years on the horizontal axis are increasing in the number of years before 1950 so if we take the start of building Stonehenge as the orange line the period of the building is to the left of the line. Lovely and warm, no sliding the stones down frozen rivers. 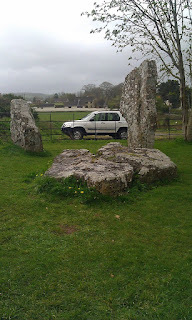 An example of a Sarsen that was worked in 2000, exposing the pale stone beneath. The lichens are colonizing the cut surface and giving it the more usual mottled colouration we see on the stones of Stonehenge. 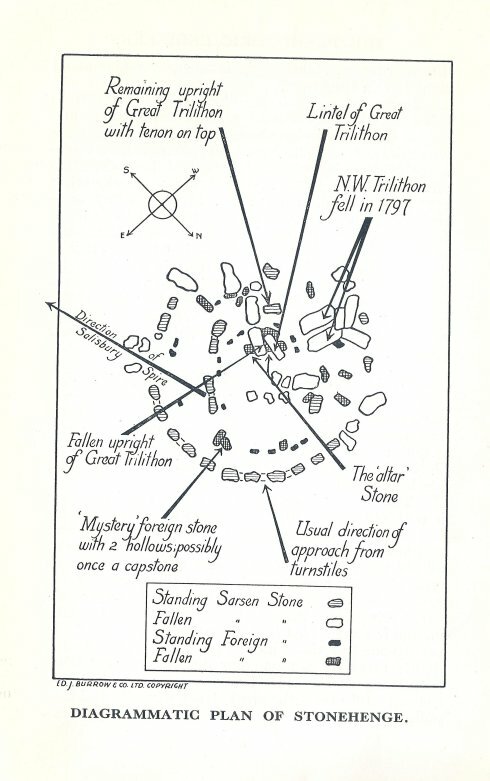 What Made Wiltshire Archaeology So Interesting In The 1870s? 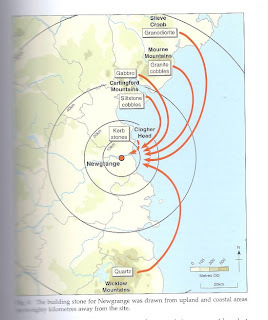 Mike Pitts has been looking at the frequency of the word Stonehenge in old books. There are some interesting unexplained peaks. Go and see what he says. Source: Google's Ngram Viewer which displays a graph showing how those phrases have occurred in a corpus of books.